How does a wannabe racing cyclist from Nottingham become one of the foremost creative figures of his generation, a global fashion name with a particularly English aesthetic? 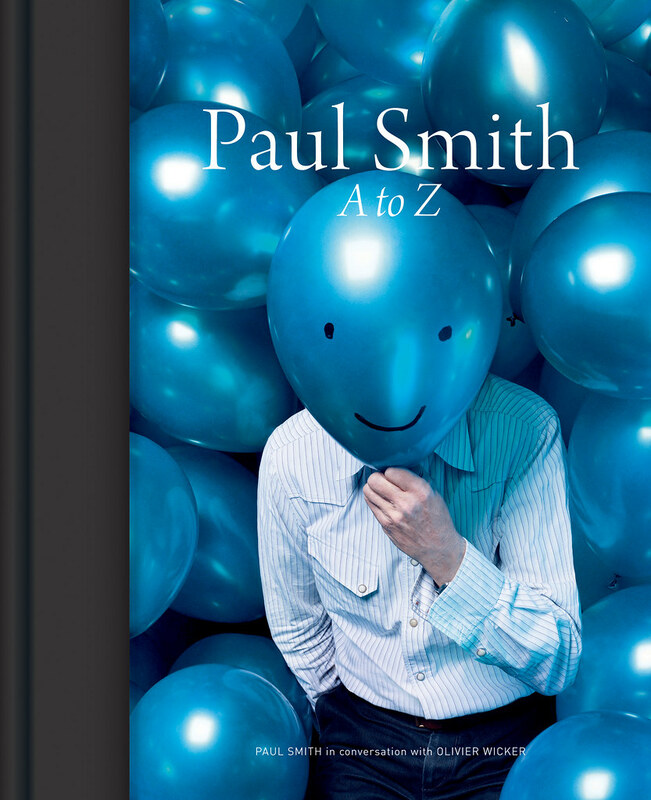 ‘Here 2012’, the September symposium curated by It’s Nice That, promises a unique – and amusing – insight into the mind that launched a thousand suits, their (informal) mentor Sir Paul Smith. The latest bulletin from It’s Nice That (see ‘The new breed’, Eye 82) confirms a stellar list of inspirational speakers for their one-day symposium at the Royal Geographical Society in London on 21 September. 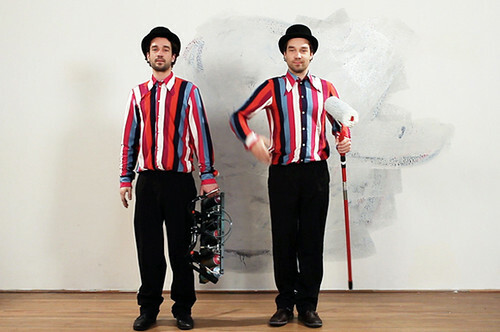 A still from a film for the project If We Could Collaborate, 2009 initiated by Alex Bec and Will Hudson in collaboration with Job and Roel Wouters. Graphic designers are, naturally, well represented, with Andy Stevens of Graphic Thought Facility (See Reputations in Eye 39); Eike König, founder of the Berlin studio Hort; Letman, aka Job Wouters (See ‘Make each letter speak out loud’ in Eye 75), and his equally multi-talented brother Roel (of Moniker), and Sonya Dyakova, the Russian typographer and award-winning cookerybook designer who also art-directs Frieze magazine. 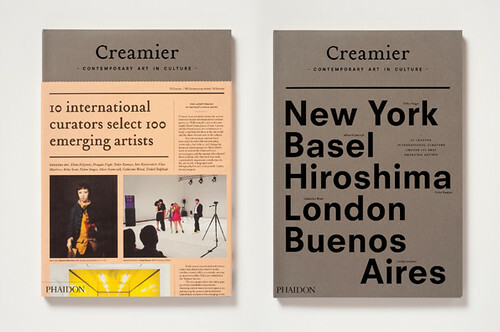 Creamier, designed by Sonya Dyakova for Phaidon. There will be plenty on the moving picture front too, with Bafta award winning interaction designer Grant Orchard (his short film A Morning Stroll also won him an Oscar nomination); documentary film-maker Carol Morley, director of Dreams of a Life; and a screening from Future Shorts. Quentin Jones for Glass Magazine with photography by Niclas Heikkinen and styling by Agata Belcen. Other fashionable figures include animator / illustrator Quentin Jones (she’s also a Cambridge philosophy graduate and a model); and Australian ‘body architect’ and TED fellow Lucy McRae. 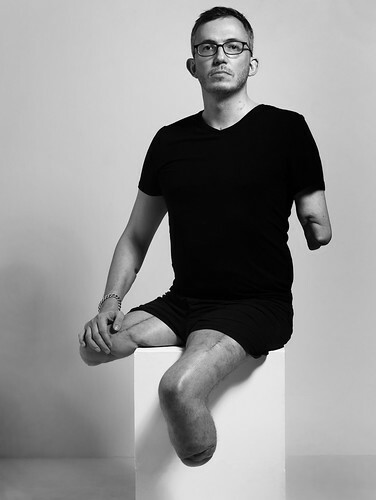 Photojournalist Giles Duley spent years in fashion and music photography, before switching careers – and became a story himself after he lost both legs and an arm in Afghanistan in 2011. Architectural jelly-makers and event animators Bompas & Parr (the people behind this summer’s landmark cake crazy golf on the top of Selfridges department store ) will enliven proceedings with another (almost certainly food-related) fun happening. Other ‘live elements and creative experiments’ are in the pipeline – keep up with developments on the Here 2012 Facebook page and on the It’s Nice That website, where they have started posting speaker profiles. The Eye team will be there, too, with selected back issues for sale at special prices. Eye readers get a 20 per cent discount by quoting the special code word* printed on page 87 of the current issue, Eye 83, but full price and student tickets (that are very good value) for this uniquely creative event are still available from Eventbrite. 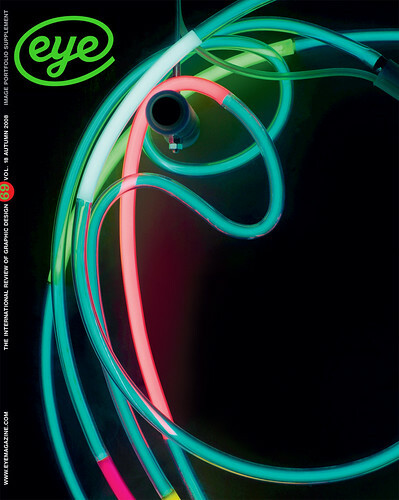 Cover of Eye 69 features neon restaurant sign designed by GTF.